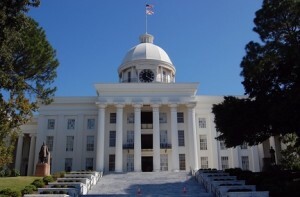 The Alabama Senate today passed Senate Bill 138 with bipartisan support on a vote of 20-4. The legislation gives borrowers 30 days to pay any payday loan, which helps borrowers better manage their finances by allowing them to pay off debts alongside other monthly bills. Under current law, payday lenders can set the terms of their loans from 10 to 31 days, and can charge a fee of up to 17.5 percent of the amount borrowed. A payday loan due in 14 days carries an egregious annualized interest rate of 456%. This simple reform to Alabama’s payday loan industry, which would effectively cut the current annual interest rate in half, now moves to the Alabama House.